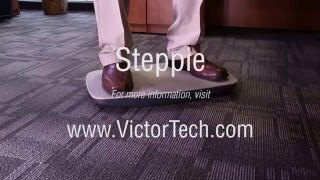 The Steppie balance board is the perfect complement to a standing desk workstation, such as the High Rise™ Collection. 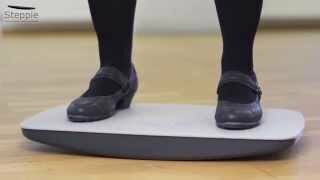 This stylish yet unobtrusive balance board features a simple design that helps improve overall body wellness while you work. Designed with comfort in mind, the board gently rocks side to side while strengthening and stabilizing muscles in the core, lower back, hips, legs and ankles. Other health benefits include improved posture, increased circulation, and improved joint mobility.